The age of trees can be determined by the number of circles or bands that are seen on the trunk when it is cut. How many circles, do you think, that the world’s oldest tree has? The world’s oldest tree is 350 million years old. The tree must be really tall and really wide. 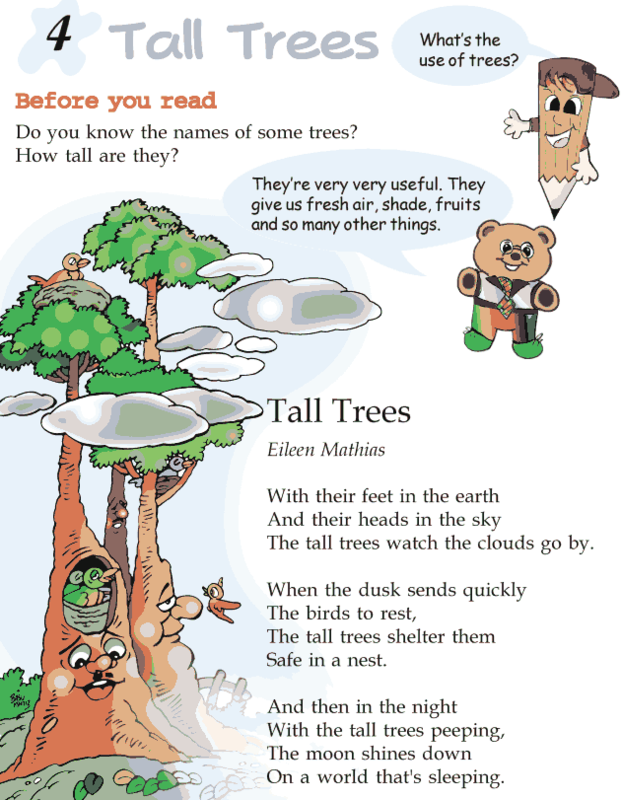 Read this poem, Tall Trees, by Eileen Mathias.